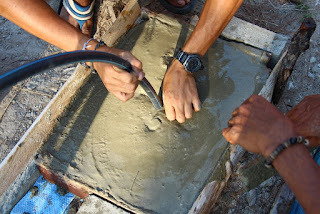 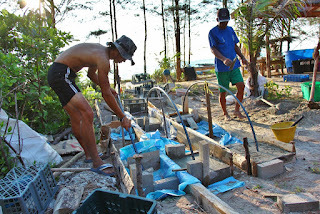 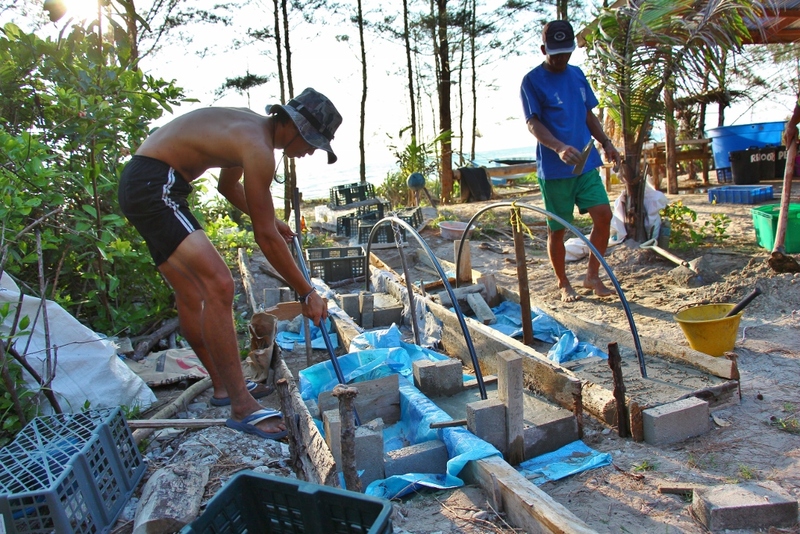 The team of Malaysians and international volunteers have been having fun over the past few weeks making igloo reefs for our SGP/GEF project near the Tip of Borneo (Simpang Mengayu). 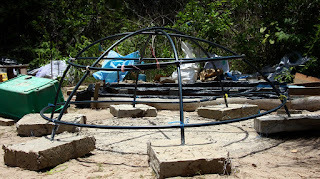 These are bottle reefs attached together by plastic pipe bent into an arch shape and then assembled into an igloo shape. The plastic pipe has a large number of holes drilled in it to make a suitable attachment point for coral fragments which will be fixed by cable ties. 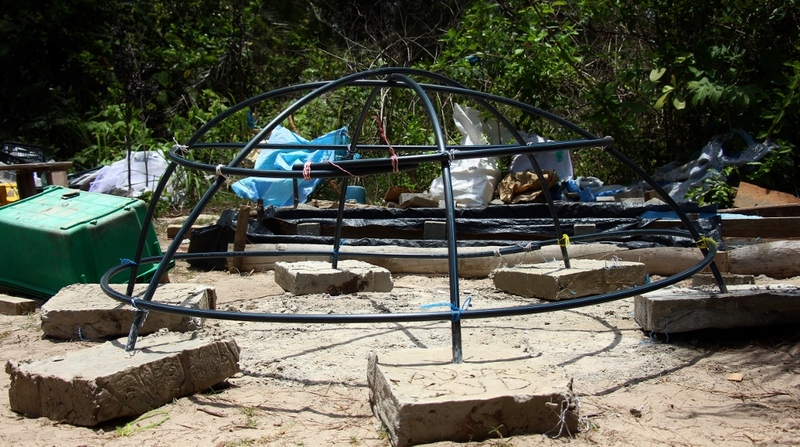 These igloo reefs are intended to act as very open shelters to schools of fish. 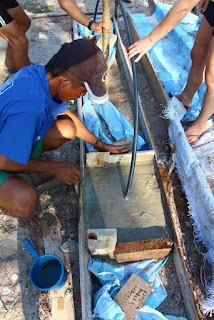 The igloos were assembled and labeled on land and then the various parts were taken apart to make for easy transport in the boat and underwater.